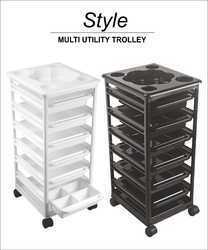 - Moulds for Salon & Spa Trolley. 1.Mould with stripper plate to make automatic ejection. Sturdy and sleek design that is classic and comfortable. Wide, black vinyl seat and backrest, U-shaped footrest and 5-star base. We are offering Spa Bed to our client. Kanka spa trolley has been designed for modern day spa and medi spa. There has been fusion of solid wood & glass to create a spa trolley that can be used for spa cosmetics or to place aesthetic equipments on it. The are three sheleves made from 12mm toughened glass and the wooden frame is joined together with chrome plated metal rods. Kanka is functional and good looking spa trolley. 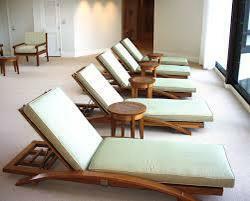 We deal in a wide variety of (Salon Equipments Spa Furniture)and contact us for any related requirements.